Welcome back to The Asha Blog, we are so glad you are here! Today we will be exploring the world of Aveda products. The Aveda difference from your average salon and spa products is in their formulation. Not only is each and every product created with you in mind, formulated with organic and all-natural ingredients, they truly WORK! Today, we begin a new series here on the blog of product recommendations from our talented Asha artist. 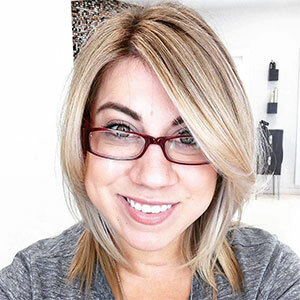 This week, we caught up with Esthetician Ariana, at our Goldcoast location, to find out all about her go-to Aveda product. Why do you love this product? The exfoliant comes as a liquid and is Aveda’s gentle exfoliant made for all skin types. It does the work for you, by exfoliating without the harsh rubbing of beads. Like all Aveda products, it is naturally derived and doesn’t leave your skin looking red like other exfoliants may. The Botanical Kinetics™ exfoliant is suitable for all skin types. How does one use this product? Use in your nightly routine. Apply after you cleanse your face. Use a cotton swab and just apply to your whole face. 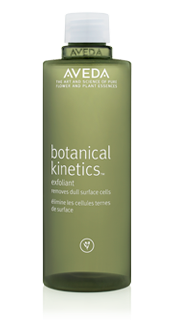 Ready to try out Aveda’s Botanical Kinetics™ Exfoliant for yourself?! Learn even more about this product and shop the line below.